After my hand-sewn dress project for my baby Girl, making a no-sew tutu skirt comes next. 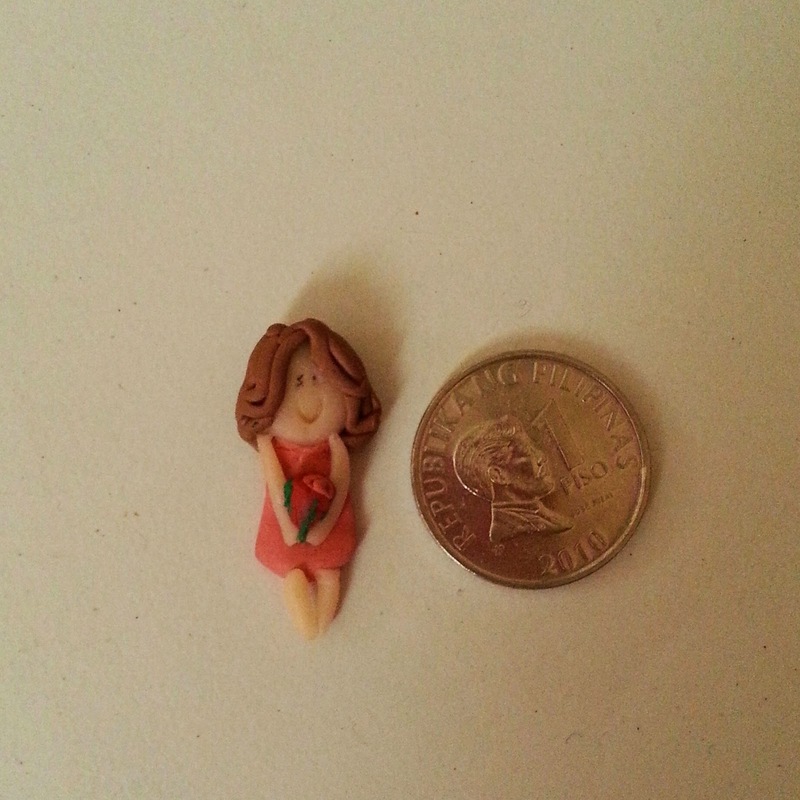 But before I can even get my hands on tulle that I bought from divi, this 'clay art thing' caught my attention and was eager to try hand crafting using polymer clay. As a beginner in this craft, I was a little surprised on how time consuming it turned out to be. 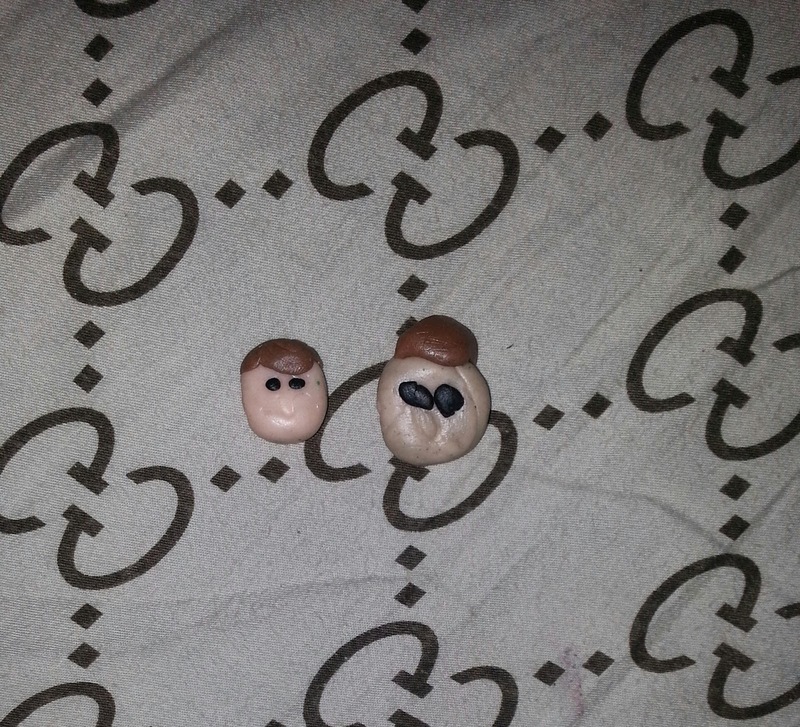 I watched youtube tutorials on making chibis and simple creations and it took them less than an hour to finish their art work, mine took 4 hours of trial and error. Well I guess that was pretty normal, I need to learn more designing techniques to came up with a much more smooth-finished clay works. I ordered "Get Go pack" Flexible basic colors and a pack of skin color from Claytoons, and waited for a perfect time to get started. That's when the kids were sound asleep! First attempt on baking clay. I need to adjust the baking temp., "medyo hilaw pa". 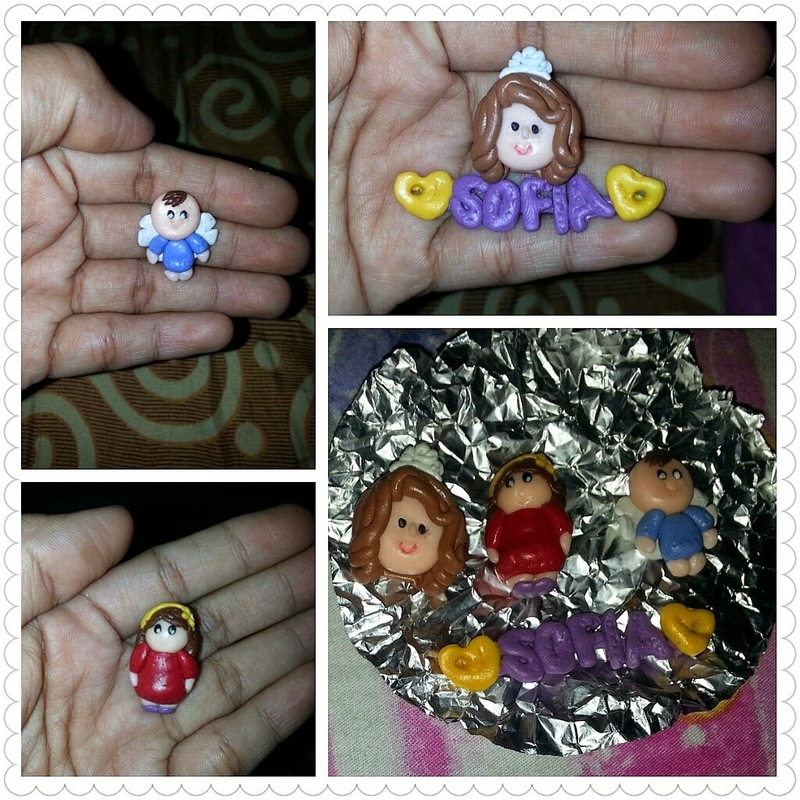 Cute 'lil angel, Sofia the first, and Girl in Red clay charms! Baking temp at 130° for 30min. was just perfect for Nendo Clay! I showed my clay creations with my 6-yr. old son, he said it's 'sobra' cute and ask if he could help in making some more. 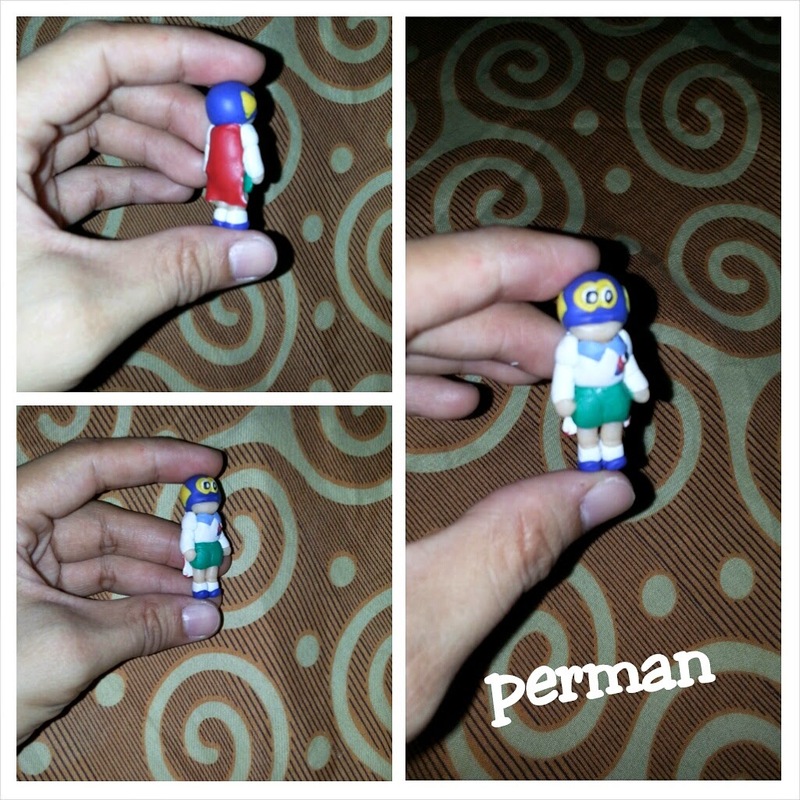 He requested, this "perman" mini figure... 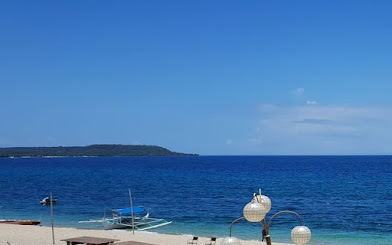 I swear, "hindi sya madaling gawin". I spent a couple of hours doing this in two consecutive nights. I wasn't able to finish it with one seating because someone volunteered to 'help'. My B was wide awake at the time I'm working on this, so to keep me undisturbed while trying to complete perman's parts, I assigned him to copy a boy's face to keep him entertained doing on his own. Nice try! Gotta have more on mommy's artistic side. Items from Divisoria!!! :-) There are so many things that you can find at that place. It's good that you have patience for doing this. After many practice, I'm sure that you can finish these in an hour like in the videos. Agree! 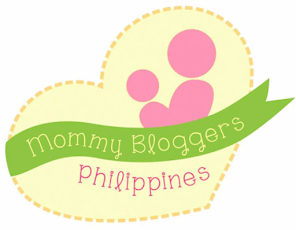 We can find so many things in Divisoria, and for a cheap price. It's a haven for shoppers and marketers. I really have patience for doing art crafts. I believe it's my passion, I find it enjoyable and always happy to learn new things and be more creative.